A good original 6 keyed bassoon bearing the makers stamp: Wrede................,London. All 6 keys in nice shape one with a brocken spring, very firm and heavy stained fruitwood, one open crack in the low joint (2 inches or 5 cm). Good original bocal, needs pads and set up otherwise in good condition. Total length 49 7/16 inches or 125.6 cm. Good original 6 keyed English bassoon stamped on the wing: Bilton London, a Unicorn, 93 Westminster Bridge Road. Bocal stamped 46, "V". Bell with several pinned repairs, 6 good original keys with good springs and pads. 8 keyed bassoon stamped on the bell; W. Milhouse London 337 Oxford Street, stamped on all 3 joints: W Milhouse. Bell with repaired cracks, wing with early repair, also top joint of the wing needs repair and the brass cap is split. Needs restoration, all 8 keys are in good condition with good springs. total length incl. bell 48 1/2 inches, earlier restoration, good brass keys and springs. Milhouse worked at 337 Oxford street between 1799 and 1828. Needs repair sold as is. A good 6 keyed English bassoon stamped 4 times: a Unicorn, C. Gerock, London. Also stamped Cornhill. Good condition, bottom part has a repaired crack, 8 cm pinned. 6 brass keys with good springs and pads, probably original bocal in good condition. Measurements: - total length 124 cm - diameter of bell 5 cm - total length of the wing 53 cm. A nice 10 keyed flamed stained maple bassoon in good condition, no visible cracks, 10 nice brass keys, some do not move, springs seem ok, needs new pads, no bocal, top brass bell ring is damaged. Measurements: - total length 128 cm - diameter of bell 7 cm - total length of wing 51.5 cm. A good 13 keyed English bassoon stamped 4 times: Bilton London and a Unicorn, also stamped on the longest part: 93 Westminster Bridge Road. Good condition, no visible cracks, good brass keys with good springs, needs new pads, bottom end cap missing, no bocal. Measurements: - total length 126 cm - diameter of bell 5,5 cm - total length of the wing 50,5 cm. A rare rosewood Tarogato made by Armin Sternberg in Budapest, Hungary, dating 1894 to 1934, Albert system. Rosewood is in very good condition, no cracks, nickel keys and ferrules, braun rollers on both little finger keys, double register key, mouthpiece and ligature, good condition other than needing new pads and some adjustment. Comes with original case tagged: Sternberg Budapest. Measurements: - total length without mouthpiece 68,5 cm - diameter of bell 9,2 cm. 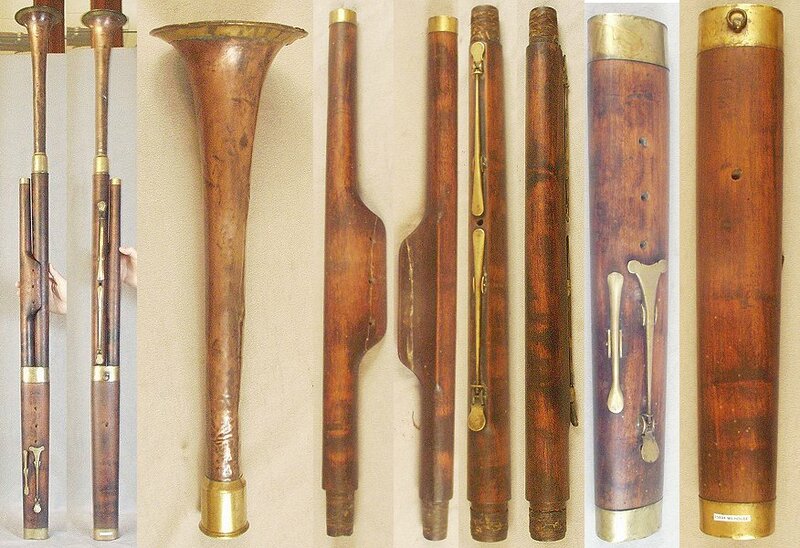 A rare 4 keyed bassoon around 1760, stained fruitwood, 4 brass keys in brass saddle-mounts, copper bell section with brass bell garland and brass socket with original black lacquer inside bell (much loss), stamped: Mihouse, Newark, complete including bocal but needs restoration, filled worm holes, bell length 44.5 cm, bell diameter 13.1 cm, total length 137.2 cm or 54 inches. A good and rare early 8 keyed bassoon with a brass bell, bearing the makers stamp on 3 joints: Thomas Key London. The heavy stained fruitwood with no cracks is very firm, the brass bell with lots of dents, the keywork in good shape except for a missing top part and some brocken springs.  Original bocal, total length 50 3/4 inches or 129 cm. A well preserved 8 keyed bassoon with 3 additional keys from a later time, stamped twice: P�ze � Paris. Very good conditon, extremly nice workmanship, all keys with springs, original bocal, flamed maple, total length 49 5/8 inches. A highly important 6 keyed Tenoroon made in England around 1800. The stained hard wood is in very nice condition with no cracks, 4 old worm holes, repaired original crook, 4 brass mounts, 6 original brass keys, total length 85.5 cm, total length of the bell 20.7 cm, diameter of the bell 4.8 cm, length of the middle part with the 3 keys 41.7 cm, length of the smaller middle part 38.9 cm, total length of the bottom part 29.7 cm.